HARTFORD, Conn. (CN) – The Connecticut Supreme Court ordered the release Tuesday of police records on the 2012 mass shooting at Sandy Hook Elementary School, including a book by the shooter Adam Lanza. A unanimous 5-0 ruling, the 21-page decision rejects argument by the state that the documents seized by law enforcement are not public records. Law enforcement removed the documents at issue from Lanza’s Newtown home where he shot his mother before heading to the school where he shot and killed 20 first graders and six educators before taking his own life. Andrew Julien, the newspaper’s publisher, explained that the documents were sought “to advance the understanding of how so heinous a tragedy could happen.” Julien applauded the court’s decision Tuesday. The state attorney general’s office declined to comment on the ruling. It could still ask the court for reconsideration or ask the U.S. Supreme Court to weigh in. In the underlying case, the Connecticut Department of Emergency Services and Public Protection, which includes the state police, didn’t respond to Altimari’s initial request in a timely manner so he filed a complaint with the Freedom of Information Commission. The commission sided with the newspaper and the state appealed the decision to Superior Court. 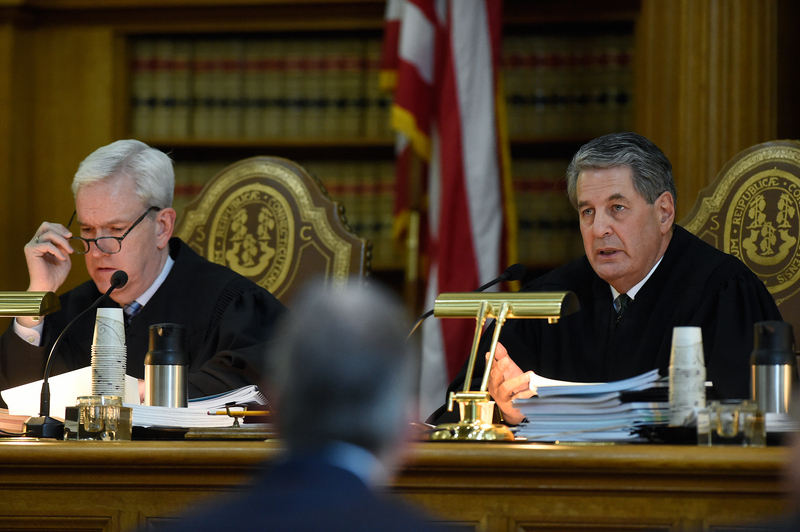 Attorneys for the state failed, however, to persuade the Supreme Court that Connecticut’s search and seizure statutes ruled out release of the records. The court also rejected the argument that the documents didn’t belong to law enforcement and were not theirs to share because they were seized from Lanza’s home. The state argued it’s the practice of police to shield from disclosure all seized property not used in a criminal prosecution. “Even if we agree with the trial court that the search and seizure statutes protect the ownership rights of the people whose property has been seized, we cannot conclude that a statutory scheme requiring that property be returned to its owners creates a duty of confidentiality for those items or otherwise limits public disclosure,” Mullins wrote. It’s unclear how quickly Altimari and the newspaper will receive copies of the documents requested.